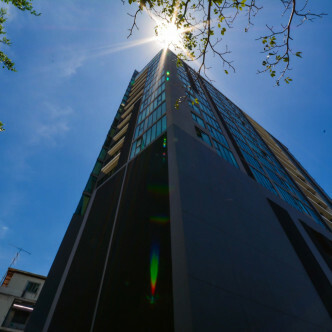 This contemporary apartment building was completed back in 2009 and consists of a single building. 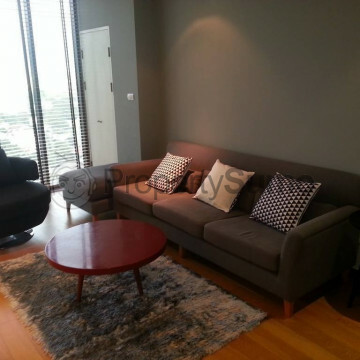 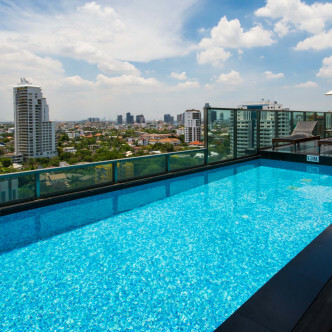 Alcove Thonglor 10 features a total of 135 units, which are situated on the building’s 23 floors. 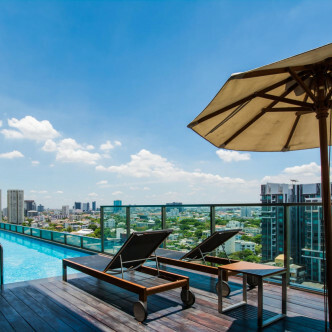 Each of the units here is well proportioned and come complete with a large balcony that offers enchanting views of the city. 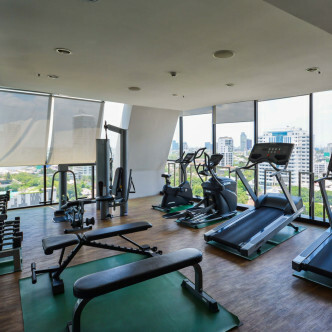 A modern fitness centre and laundry room are among the great facilities that Alcove Thonglor 10 has to offer residents. 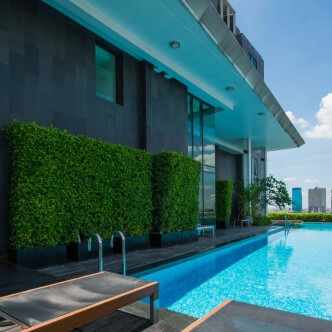 The building also features a stunning outdoor swimming pool that provides impressive city views, while the surrounding decking is the perfect place to soak up the sun during leisure time. 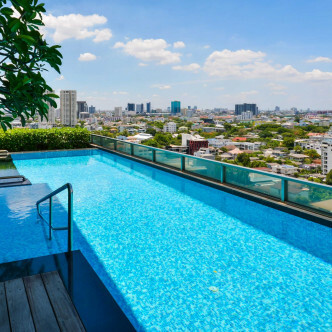 As the name suggests, the location of this impressive building is the Thonglor district of Bangkok. 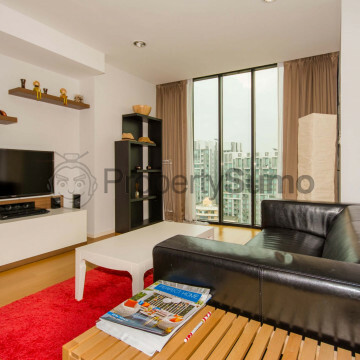 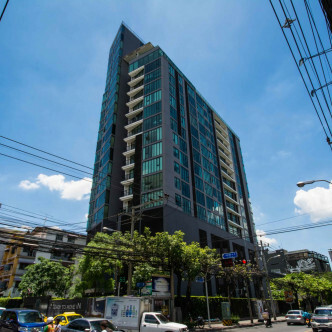 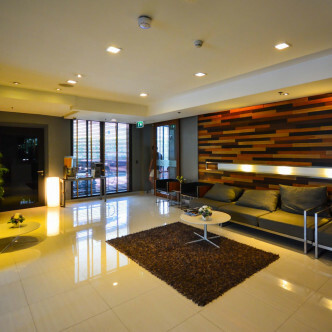 The apartment building is in easy walking distance of the Thonglor BTS networks, which makes it easy to travel to virtually anywhere in the city for work or recreation. 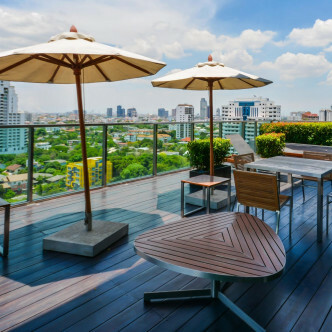 There are also plenty of local attractions and amenities for residents to enjoy including a good number of shops, restaurants, cafes and spas.